Where is the money to keep women safe? 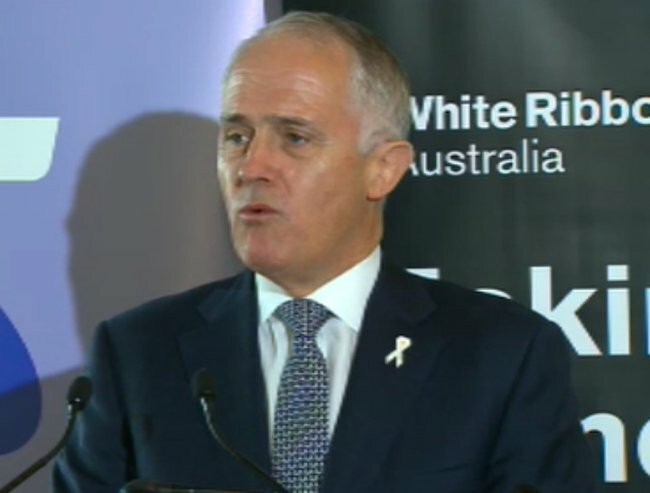 When Malcolm Turnbull spoke about White Ribbon day today, he was right. We need leadership. We need cultural change. We need to address the attitudes and behaviours which facilitate and perpetuate this scourge. We need to break the cycle. We need to raise awareness. But, more than anything else, we need money. We need to invest in services to keep women and children safe. In an address today to mark the White Ribbon day, the Prime Minister emphasised on his commitment to eradicating domestic violence. That announcement was welcome and set the tone for a favourable change in narrative under the Turnbull-led government. But it’s not enough. Less than $5 million in that package went to crisis accommodation. Five million dollars seem significant, but consider this: the $300 million which was cut in funding to women’s shelters and legal services in 2014. As author and social commentator Anne Summers writes in the SMH, in NSW there are just 14 refuges specialising in dealing with domestic violence. Previously, until the Going Home Staying Home “reforms” of 2014, there were 78. Where did those 64 shelters go? More importantly, where did the women go who used to be able to find safety in those places? The truth is: They went to their cars. They went to other people’s couches. They went back to their abusers. Some went home to die. Cuts made to women’s shelters and services on the frontline haven’t been reviewed, according to Hills Domestic Violence Prevention Committee convener Robyn Waite. “The dream would be that shelters aren’t needed, but we must provide crisis accommodation. 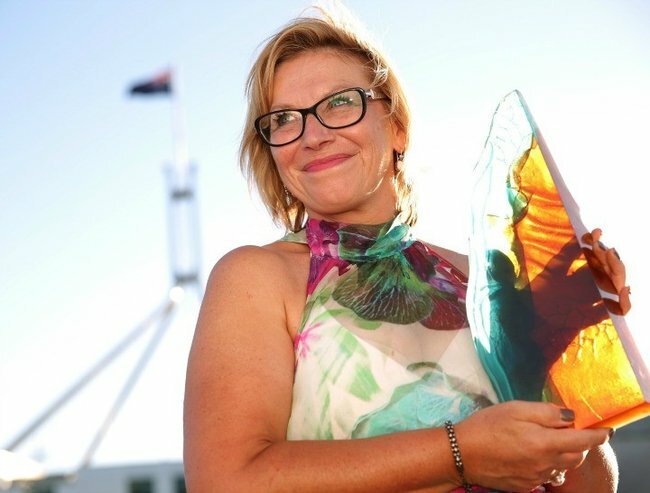 Equally we need to be working on a mind shift in the population,” she told The Hills Shire Times after the announcement. The most recent data on emergency accommodation services across the country — including women’s refuges — shows they were forced to turn away 2,800 women seeking to escape their abusers because of inadequate resourcing. In Victoria alone, there are 70,000 police attendances at family violence incidents, yet outreach services are only funded to respond to 6,000. Last year 20,000 calls to the national helpline for victims of domestic or sexual abuse, 1800RESPECT, went unanswered. Community Legal Centres, where a third of the work is family violence related, are being forced to turn away more than 150,000 people every year. Homelessness services are turning away 423 people every night. Again, we have to ask: where do these women go? Last night’s Hitting Home on ABC took us to places most of us have never seen before: inside a women’s refuge. It showed how vital these havens are. In every instance, the women seeking refuge had left their own homes in fear of their lives and had nowhere else to go. Without crisis accommodation, what is their alternative? As one DV police specialist told Sarah Ferguson, in many cases the alternative is death; not leaving an abusive relationship can — and does — result in death. Which is why all the awareness of domestic violence in the world is meaningless if women who are in danger right now have nowhere to go. All of the breakfasts and the walks and the speeches held for White Ribbon Day around the country today are moot if we do not provide adequate services on the frontline of domestic violence. All of the cultural and attitudinal changes we can muster, matter little to the women who are living in fear right now. If leadership on domestic violence doesn’t translate into spending money where needed, the sentiment matters little. Earlier this year, Waleed Aly asked then-communications minister Malcolm Turnbull to explain why the government wasn’t investing in preventing this violence. He asked the government to show us the money. Today, we ask the Prime Minister the same. Where is the money Mr Turnbull? If we are serious about preventing domestic violence it’s time for us to put our money where ours mouths are. You can sign this petition HERE to encourage the Federal Government to fund women’s refuges properly. If you or someone you know is impacted by sexual assault or family violence, call 1800RESPECT on 1800 737 732 or visit www.1800RESPECT.org.au. In case of an emergency, call 000.